Lifehouse is a post-grunge band pioneered by lead singer and songwriter Jason Wade. In the last ten years, Lifehouse has released five albums, debuting with the multi-platinum album No Name Face in the year 2000. The group includes Jason Wade (lead vocals, guitar), Rick Woolstenhulme Jr. (drums, percussion), Bryce Soderberg (bass guitar) and Ben Carey (guitar). They have sold upwards of fifteen million singles and albums worldwide to date. The band holds its roots in California, where Lifehouse's founding members first came together under the name Blyss in 1999. Blyss released a demo album entitled Diff's Lucky Day. Shortly after in 2000, the boys were signed onto a record deal with DreamWorks Records. Five of the twelve tracks from Diff's Lucky Day were re-recorded for No Name Face. This debut album went multi-platinum, standing behind the hit single Hanging By A Moment, which became the most played radio track of 2001. The song became the theme of the 2000 Winter Olympics in Salt Lake City, UT. In 2002, the members of Lifehouse consisted of foreman Jason Wade, bassist Sergio Andrade, drummer Rick Woolstenhulme and Woolstenhulme's younger brother, Sean Woolstenhulme, on guitar. At this time, Lifehouse released their second album Stanley Climbfall. After a few years of touring, Sergio Andrade left the band on good terms in 2004. Sean Woolstenhulme soon followed, leaving the band to pursue personal projects. With only Wade and Woolstenhulme remaining, Lifehouse picked up a third member, ex-AM Radio bassist/vocalist Bryce Soderberg in late 2004. The band also signed off with Geffen Records, releasing their third self-titled album in 2005. With their style of melodic rock maturing over the years, the album's feature single You and Me remained on the Billboard hot 100 chart for over 60 weeks. 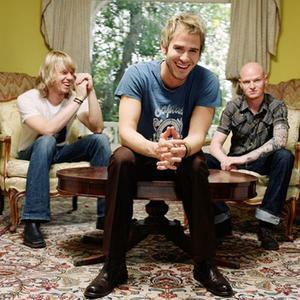 Further developing their image as a band that has overcome stereotypes and endured change, the Lifehouse trio came back quickly, releasing their latest album Who We Are in June 2007. The new single First Time has since been released on radio and television. It was announced on October 15, 2010 that the new album is called Smoke & Mirrors and would be released on December 8, 2009. However, on November 13 the band stated on its web page that Smoke & Mirrors would be released on February 2, 2010. The first single was "Halfway Gone", which was released on October 27. The Halfway Gone music video premiered on the VH1 Top 20 on VH1.com at the end of November. On December 22, Tommy2.net reported that the album had been pushed back once again, this time to February 23, 2010. The album was then delayed again, but was released on March 2, 2010. The album came in a standard, deluxe, and two-disc deluxe edition. The album Smoke and Mirrors debuted at # 6 on the Billboard Top 200 chart with 54,203 sold. This marks the highest chart debut of their ten year career beating out first week chart position for their 2002 sophomore set ?Stanley Climbfall? which debuted at # 7. On iTunes, Smoke and Mirrors was #1 on the Rock Album chart for one week. After Halfway gone, two more songs from this album were released: All In (June, 2010) and Falling In (January, 2011). In the spring of 2010 Lifehouse toured with Daughtry and Cavo. They also did a short European tour in September, 2010. After the European tour, the US the Smoke and Mirrors tour took place (October, 2010 and November, 2010). June 11, 2011 Lifehouse stated that they are working on a new album and that they will get back in the studio in the fall. June 12 and June 13, 2011 the band played two shows in the UK. During these shows, a new song called 'Angeline' was played.